Shaw Gibbs Corporate Finance acted as the exclusive advisor to the shareholders of online retailer, Building Supplies Online Limited (BSO) on their strategic partnership and investment from specialist private investment firm, Cairngorm Capital. BSO, who were founded in 2010, is an online distributor of competitively priced DIY products. The Banbury-based company boasts one of the largest building supplies online catalogues in the UK, with over 50,000 products available to both trade and retail customers. Cairngorm Capital is a specialist private investment firm providing equity capital and management expertise to leading UK companies. It invests in well-performing, private mid-market growth companies in manufacturing, distribution and services industries. The firm’s goal is to build and realise value through growth and performance improvements. 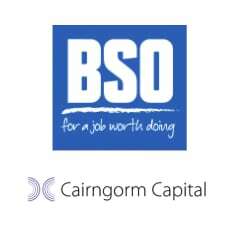 In forming a strategic partnership with Cairngorm Capital, BSO will secure the specialist sector expertise and financial support to facilitate their ambitious growth plan. Cairngorm Capital will be able to provide BSO with specific investment in infrastructure, marketing activity and expansion of the product range and distribution networks. Shaw Gibbs ran a process on behalf of BSO’s shareholders to select the right investor to move the business forward and achieve their goal of becoming the leading online building supplies distributor. The team at Shaw Gibbs were on-hand throughout the process, starting with conducting extensive industry research, to managing negotiations before assisting the parties in preparing business plans. Shaw Gibbs worked with the Corporate Team at Penningtons Manches, who advised BSO on the legal elements of the transaction. Ian Baldwin, director of BSO said, “Finding the right partner to help us achieve the next stage of growth was crucial for us. Clifford and his team worked hard to facilitate the deal throughout and have helped us to find a partner who can support our growth plans and improve our product range for the benefit of our customers and suppliers. We would like to thank Shaw Gibbs for their work on this project and would happily recommend the firm to similar businesses looking to achieve growth”.